Vaporella Essential is the ideal ironing board if it's your first time in the world of steam generator irons with boilers. 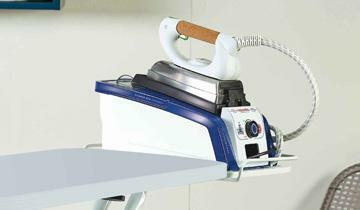 Light and stable thanks to the reinforced frame, the boiler rest lets you rest your iron safely. 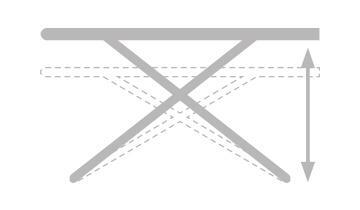 The mesh framework and cotton cover allow the passage of steam and prevent garments from getting wet. When you've finished ironing Vaporella Essential is extremely compact to store and the safety system prevents accidental opening. 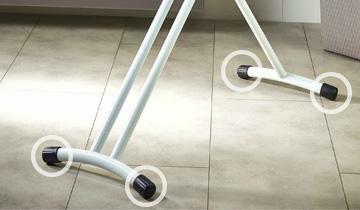 Thanks to the reinforced frame and three 32 mm diameter legs Vaporella Essential offers total stability and safety as you iron. Thanks to the integrated boiler rest you can have your steam generator iron with boiler within reach for greater comfort while ironing. 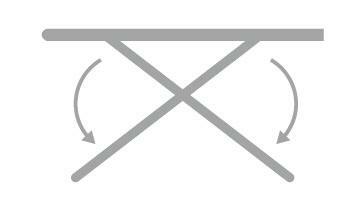 The two practical handles under the work surface let you open and close the board in an instant. The board has a height adjustment system offering four positions to get the best working position for your needs. Whether you iron standing or sitting you can make it the ideal working height. 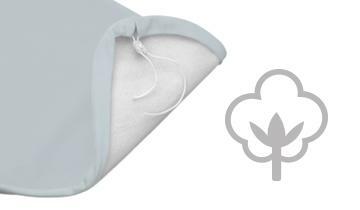 The padded cotton cover allows the passage of steam and prevents garments from getting wet. It's machine washable so you can keep it clean over time.